Baby Boomer Davy's Locker: Beatles Music Re-mastered! 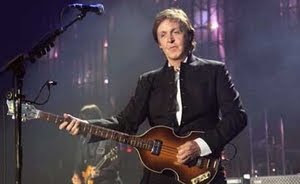 I watched the Golden Globe Awards this month and it was an awesome Baby Boomer moment when Paul McCartney, who was nominated for his song "I Want to Come Home," which is featured in the Robert DeNiro film "Everybody's Fine," take the stage. As most of the Hollywood celebrities in the room sat, star struck, watching their idol on stage, I thought about how this event was for them, but in this moment, they were all just like the rest of us. They were everyday people and music lovers who all were influenced and changed forever because of the music of this man. McCartney changed all of our worlds and how music would be played. The Beatles 13 albums have been digitally re-mastered!